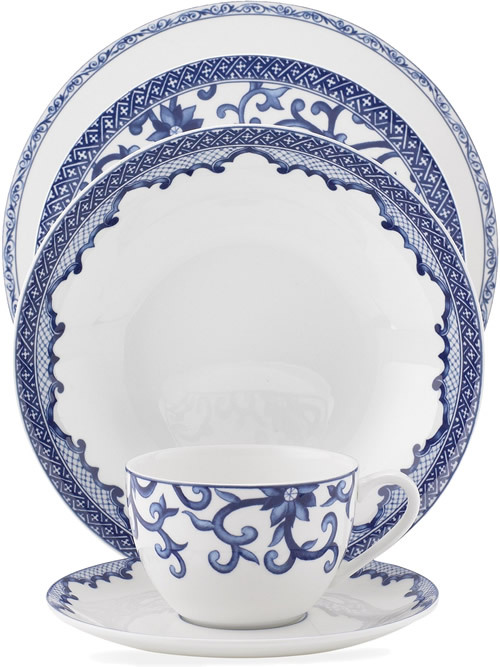 There are three coordinating Ralph Lauren Blue and White Chinoiserie Fine China Dinnerware Collections that mix and match. 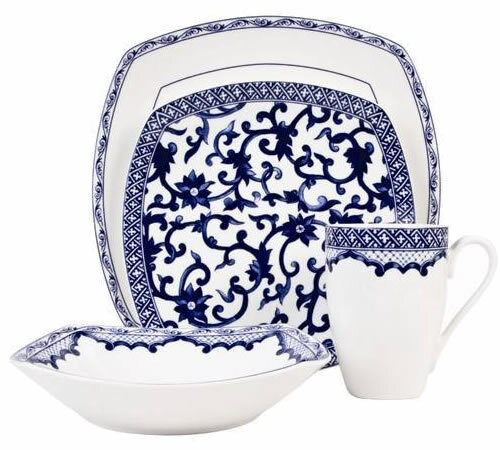 A fourth collection also has Chinese Blue and White motifs. They are retired patterns, but you can still find them on eBay on Amazon. The pieces are just beautiful. There are many coordinating pieces. 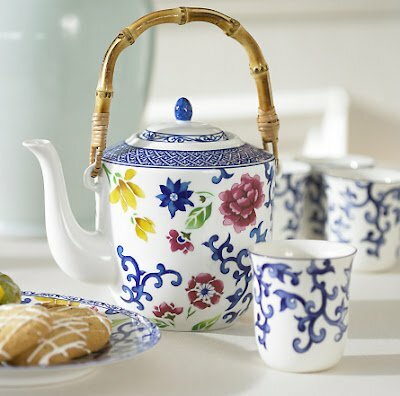 There are a variety of teacup and teapot shapes available. 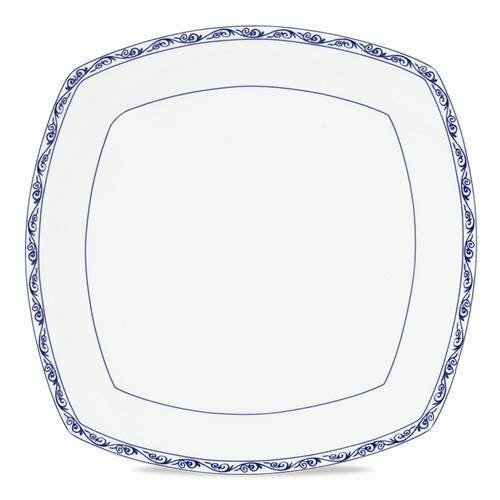 The place settings have the border like traditional Blue Willow, with white in the bowl and dinner plate. 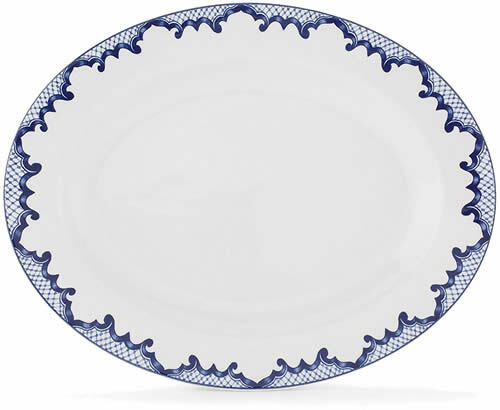 Beautiful for plating up. 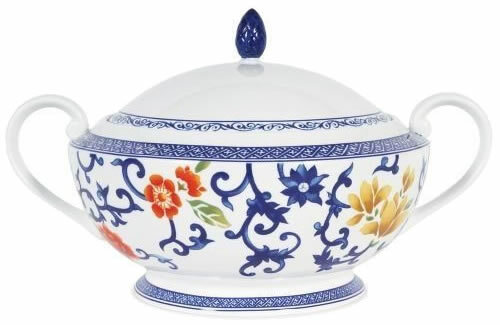 The coordinating square pieces also have white inside the bowl and dinner plate. 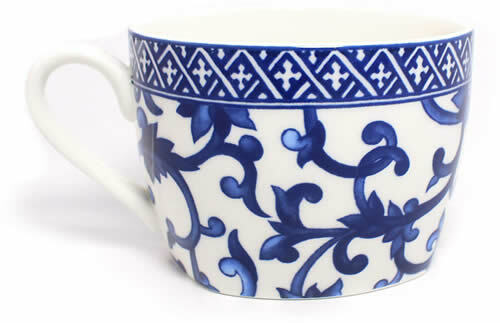 Tea cups and larger coffee cups are available. 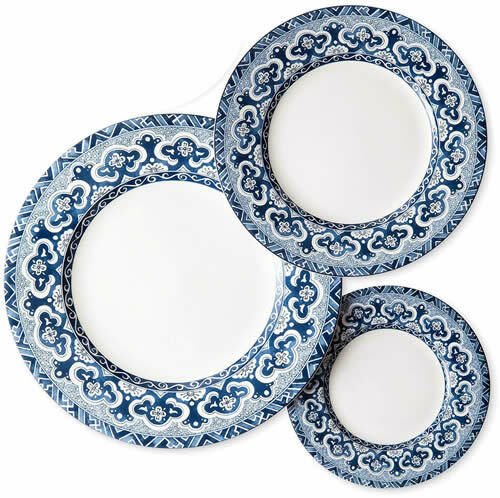 In both sets the salad plate is the stand-out. 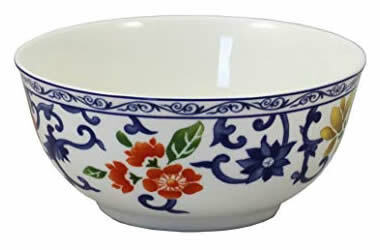 The dinner plates and bowls have a white serving space that won’t compete visually with the food you’re serving. 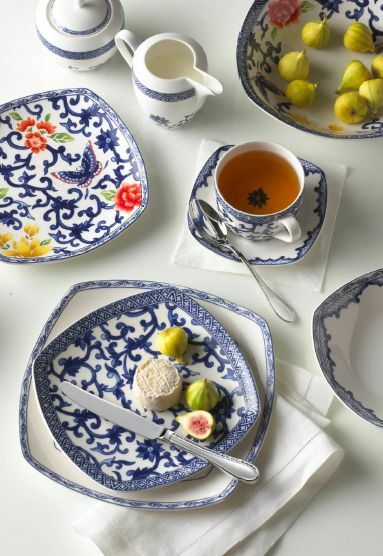 The modified square shape adds interest to your tablescape. 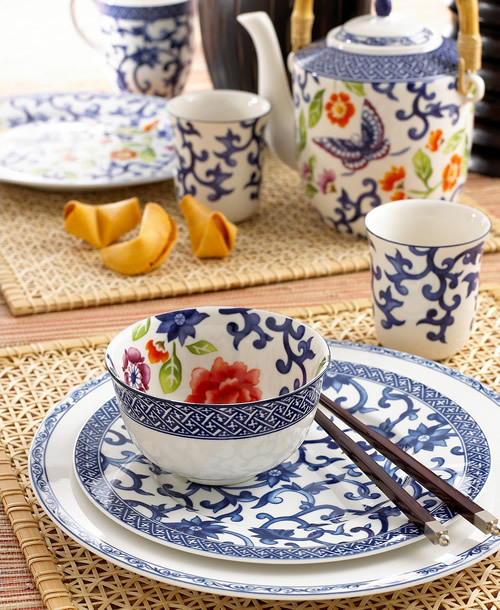 The coordinating bright Mandarin Blue Floral pieces have flowers and butterflies with the traditional blue and white Chinoiserie pattern. There are a number of coordinating colorful pieces to mix and match. Some have white inside, with the colorful outside. 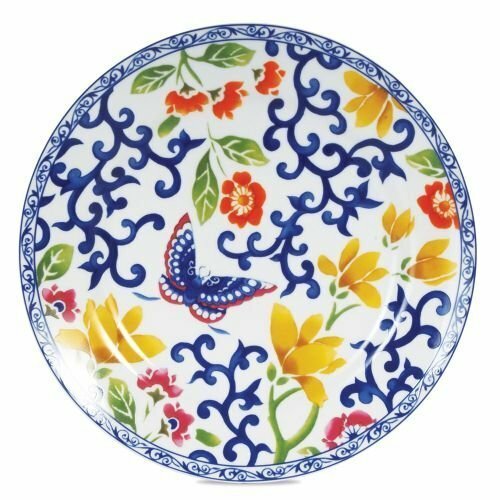 Other pieces are colorful on the inside, with the more traditional outside. 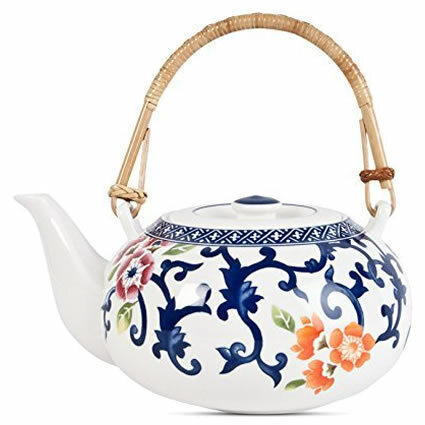 There are a variety of teapot shapes available. The Casserole is beautiful. 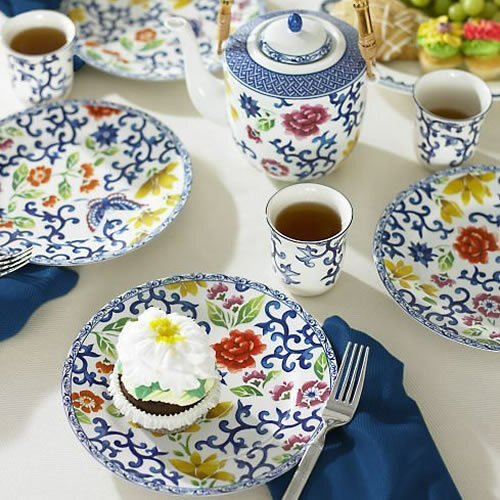 The traditional blue and white is scattered with colorful flowers and a butterfly. The serving pieces mix and match, too. Beautiful! 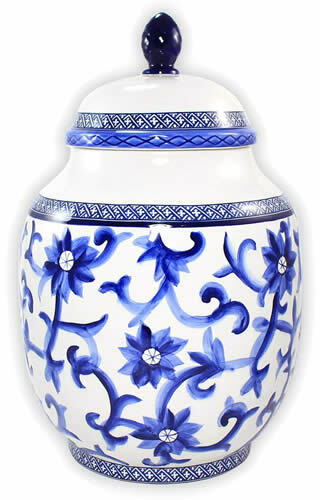 Coordinating Canisters are beautiful display pieces. 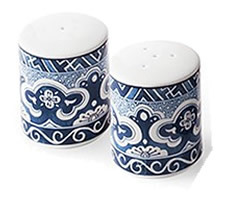 The Mandarin Blue Salt and Paper Shaker Set is hard to find, even on eBay. 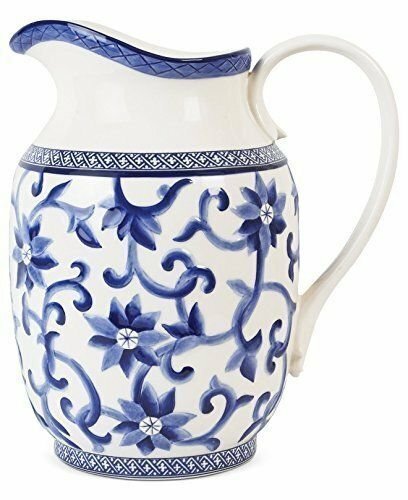 The Mandarin Blue Pitcher is ideal for cream at a dinner party. 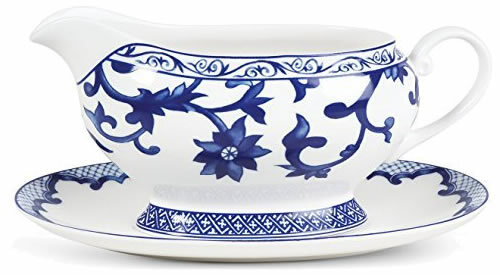 You won’t run out like with the smaller cream pitcher that comes with the sugar bowl. 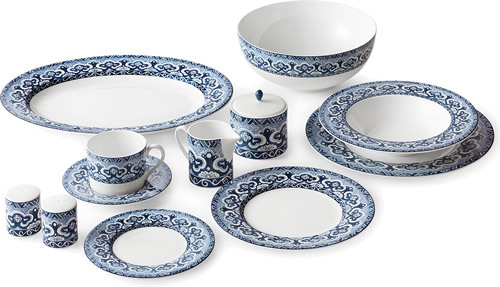 The Ralph Lauren Empress Collection doesn’t exactly mix and match with the other pieces. 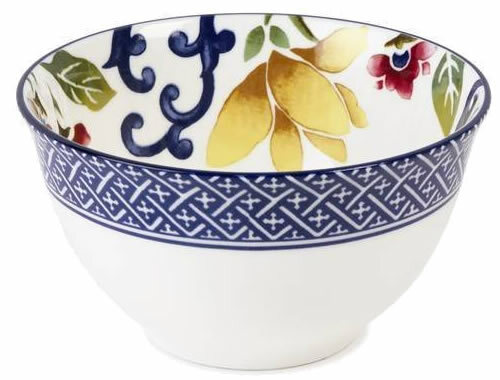 But I love the Asian motif framing a white center. 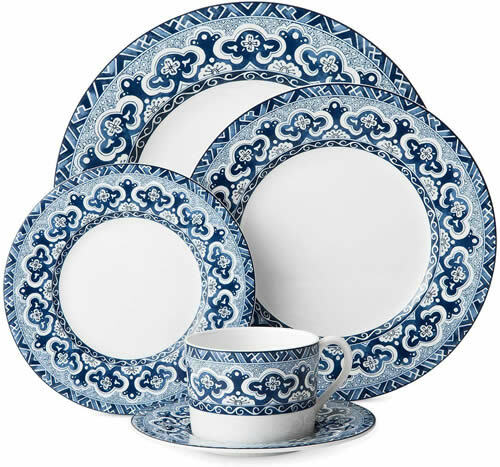 The set comes with three plate sizes for dinner, salad and bread. 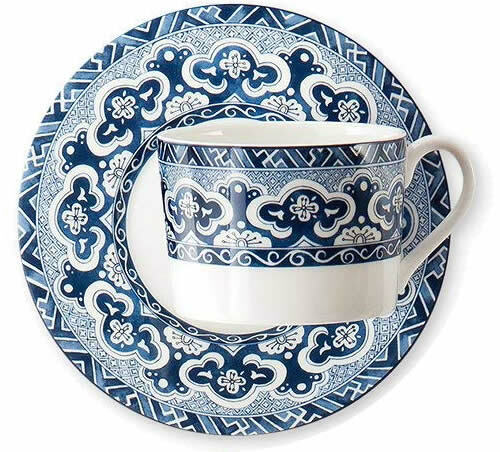 There is a standard sized cup and matching saucer. 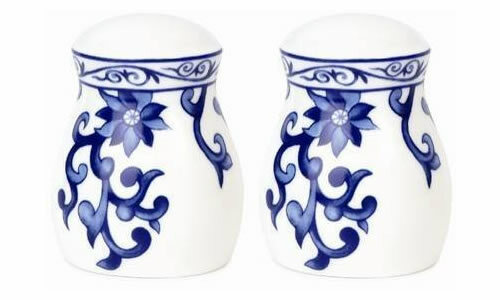 The salt and pepper shakers have a cylinder form decorated with the traditional Asian pattern. 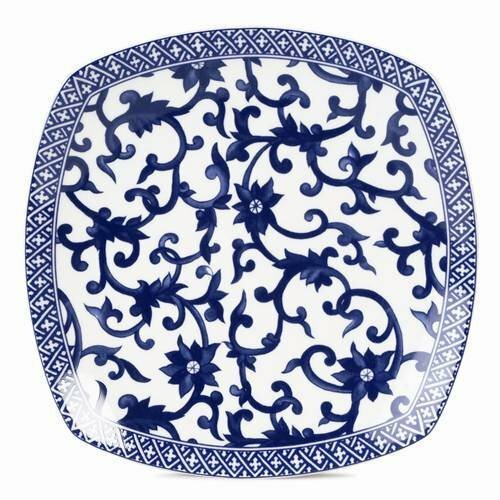 This entry was posted on October 13, 2018, in Blue and White, Oriental Style, Traditional and tagged Asian, Blue and White, China, Chinese, Chinoiserie, Dining, Dinnerware, Oriental. Bookmark the permalink.